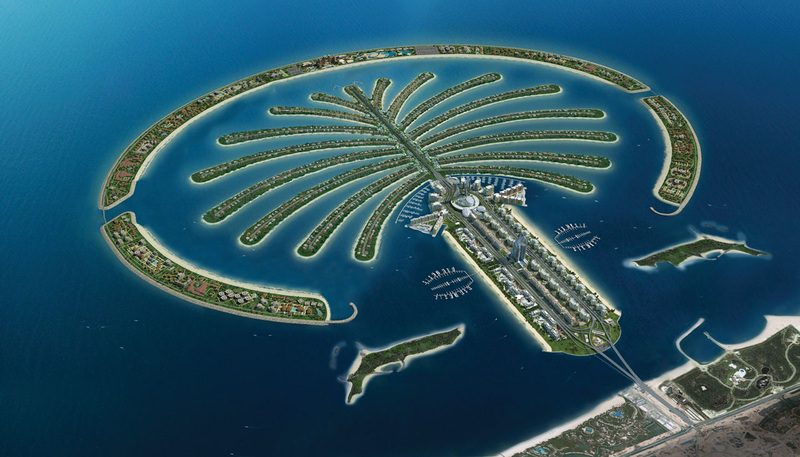 Dubbed as “the 8th Wonder of the World," the Palm islands have been a phenomenon brought to life and made reality. The islands comprise of a large number of residential, leisure and entertainment areas including more than 60 luxury hotels, thousands of exclusive residential villas, water homes, shoreline apartments, marinas, water theme parks, restaurants, shopping malls, sports facilities, health spas, cinemas and various dive sites. Palm Jumeirah has everything you need to enjoy a wonderful holiday break. World famous hotel names, amazing tourist attractions, luxury fashion and shopping malls are starting to open up. Whether you just want to relax or immerse yourself in an exciting world of leisure and entertainment, this is a truly inspirational holiday destination. Visitors will come to enjoy the magnificent sunsets, unwind in the spas, pools and gardens and eat out at the fine selection of restaurants. There's a wide range of daytime activities, including water sports, aquariums, theme parks and of course miles of beautiful beaches. And at night the bars, clubs and shows will offer plenty of fun and amusement. So why not come and explore the endless possibilities Palm Jumeirah has to offer you. Palm Jumeirah is a visionary project. An unparalleled feat of engineering, it is now creating an equally unique community. 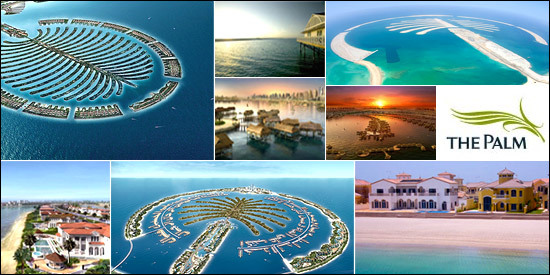 The world's greatest hotels, restaurants and entertainments are attracted by the Palm Jumeirah concept. Here the new wave of fashion sits side by side with luxury yachts in some of the world's most impressive marinas. And here is the perfect place to buy a property. Residents who have already moved into Palm Jumeirah homes talk of dreams coming true, waking up to glorious sunshine, wonderful views and an array of marine life at the end of the lawn. They enjoy a distinguished address and exclusive lifestyle close to the shops and entertainments. Yet away from the bustle of the mainland city centre. Investors who purchased off plan have enjoyed success that has surpassed all expectations. All the indicators suggest now is a good time to join them and purchase property in this unique and iconic location.